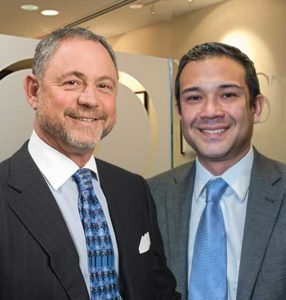 Board Certified Specialist Richard West and Associate Shane Herbert, attorneys at West Family Law Group, ranked among the 2018 Best Law Firms in America by U.S. News and Best Lawyers. The West Family Law Group, led by attorney Richard D. West, has been ranked among the 2018 Best Law Firms in America by U.S. News and Best Lawyers®. 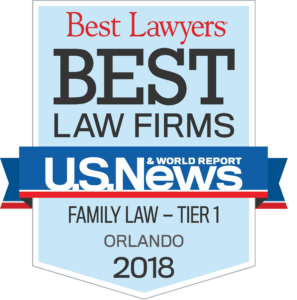 The honor closely follows Best Lawyers In America naming West the 2018 Orlando Family Law “Lawyer of the Year,” the third time he has earned the distinction. Best Lawyers cited his work in Family Law, Arbitration and Mediation. Both honors are awarded based in large part on peer review. West, who has successfully helped clients navigate marital and family law issues for more than 30 years, practices throughout Central Florida, the state and beyond. The honor adds to a long list of accolades for West. He was named one of the Top 100 Lawyers in Florida by Super Lawyers for 2016. He has also been recognized for more than a decade by his peers in Florida Trend’s Legal Elite, Best Lawyers and Best Law Firms in America. West is a Fellow of the prestigious American Academy of Matrimonial Lawyers (AAML) and a past president of the Florida Chapter of the AAML. He is also a Fellow of the International Academy of Family Lawyers. The West Family Law Group Best Lawyers profile is at www.BestLawyers.com.